Lieven brings extensive M&A experience from his positions as an executive in Fortune 500 companies and as a management consultant at Mc Kinsey, in a broad range of industries: Life Sciences, High Tech, Consumer Goods/Food, Chemicals and Metals/Mining. Lieven has over 10 years of C-Level experience in the areas of general management and operations as CEO of the US division of a private European Life Sciences company and as SVP Operations of Prestige Brands, a US public company (PBH) focusing on Consumer Healthcare products. He has presented seminars, conducted workshops and is a trainer on cost optimization programs, operations management and post M&A integration projects such as working capital improvement. Lieven received a Master of Applied Sciences/Engineering from the KUL – University of Leuven, Belgium and an M.B.A. from the Wharton Business School – University of Pennsylvania. He speaks fluent English, Dutch and French, and understands and reads German. Lieven’s expertise in M&A includes the full M&A process ranging from being a key member in deal teams (due diligence, risk assessment,…) to being the executive responsible for all post merger integration activities. He is an expert in global operations management including manufacturing, supply chain management, distribution and logistics, vendor management and procurement, working capital improvement and P&L improvement projects. 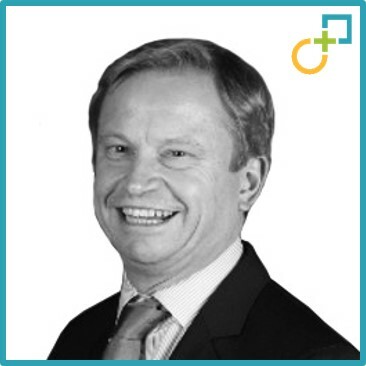 Lieven has managed projects and led teams focusing on acquisitions and divestitures, international restructuring, change management, implementation of ERP platforms, and people management. He is uniquely positioned as his career encompasses both broad management consultancy projects impacting the long term strategy of the clients/corporations as short term operational improvement engagements impacting the bottom line of the clients/corporations. Lieven has led numerous carve-out and integration projects as well as other multidisciplinary projects such as process improvements and change management programs for clients or corporations ranging from small private companies to large Fortune 500 corporations. Lieven’s experience is international, having worked in Europe (~10 years) and in the US (~17 years). GlaxoSmithKline (GSK)/Block Drug Company: Block Drug Company team leader on the M&A Integration Team for sales & operations planning, distribution and customer service when GSK acquired Block Drug Company. Successfully integrated the US operations planning and supply teams in the GSK corporate structure at headquarter and subsidiary levels. Coordinated all global product transfers. Boots Allianz/Procter&Gamble (P&G): Managed US integration M&A activities when The Boots Group acquired the Clearasil skin care brand from P&G. Set up distribution operations, supply chain and coordinated technology transfer. Clariant/Sandoz: PMI engagement after carve-out of the chemicals division of Sandoz – Working Capital optimization program including inventory reduction strategies and worldwide demand planning optimization. Transport Giraud/Butler Capital: Financial and operational turn-around for a leading European transport company. Gemalto/TPG Capital: Redesign of supply chain processes (forecasting, order management, demand planning and manufacturing) resulting in an overall inventory reduction of 22% and increased customer service for a leading global High Tech company in credit card payment systems. Arcelor/Mittal: Productivity improvement program on-site of one of the largest steel mills in the world when Mittal acquired Arcelor. Prestige Brands/P&G/GTCR Capital: Chloraseptic and Clear Eyes brands – PMI project: cost optimization program including supplier network consolidation. Campbell Soup/Pepperidge Farm – Logistics and Distribution Network consolidation for European Biscuits division.